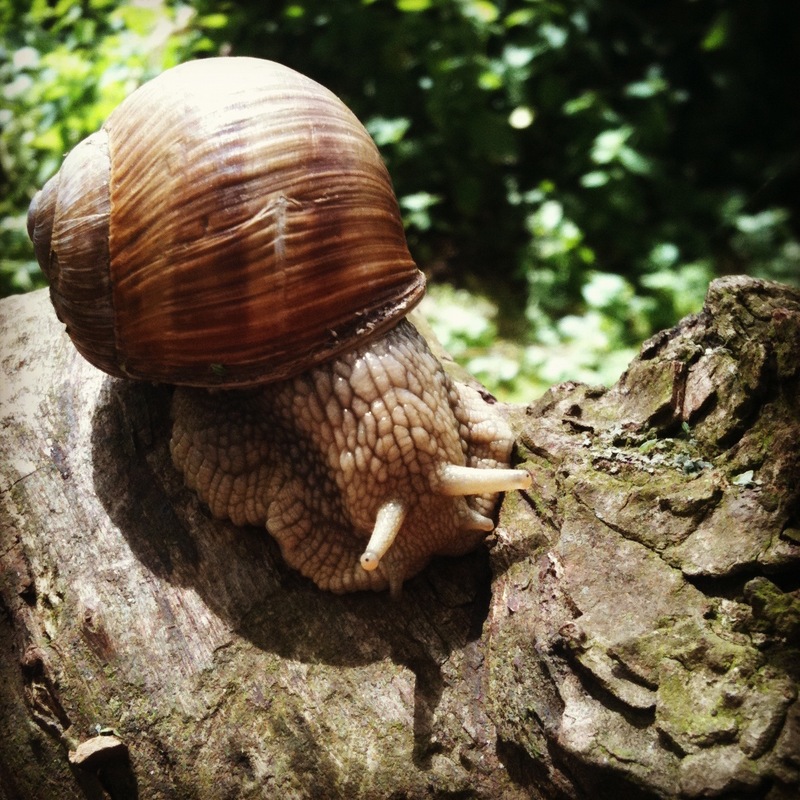 Rare and edible are perhaps not the ideal attributes for a snail to ensure its personal longevity. This is the classic French escargot, Helix pomatia, also known as the Roman Snail, Escargot or Burgundy Snail. Luckily, where it has more culinary attraction on mainland Europe, it is farmed to produce the numbers required for gastronomic purposes. In our little patch of Hertfordshire it is reasonably common in the chalky grass banks, verges and fields, though it is in fact classified as rare in the UK and legally protected under the Wildlife and Countryside Act 1981. This is Britain’s largest snail, though the fossil record gives up no specimens, suggesting a ‘recent’ introduction probably by the Romans who also brought the rabbit to England as an easily manageable and available food source. Distribution information is patchy and a consolidated map of distribution shows a liking for the geography, geology and environment of south and south-east England. I’ll look to share the other molluscs of the Badger’s Eye patch, but for now, thanks to Skye Wilkinson for the photo which inspired me to go digging for information in the first place. Mollusc (non-marine) data for Great Britain and Ireland – Conchological Society of Great Britain and Ireland; Invertebrate Site Register – England (via the NBN Gateway). Helix pomatia, Roman Snail. Bookmark. Thanks for posting the sighting.